Not one person running for president in 2020 has a #disability platform thus far. #HillaryClinton had one in 2016. She had #disabled people on her staff. She'd been addressing disability for decades. She invited disabled people to speak at the Democratic National Convention. One in five Americans has a disability, according to the CDC. We are the country's largest minority. Why aren't candidates falling all over themselves to reach out to us? Because we have been rendered invisible. Some candidates are pushing #Medicare4All which we need in this country, but not one has addressed the huge gaps for coverage of the #disabled. The woman asserts that Fairfax sexually assaulted her at the DNC in 2004. Fairrfax denies the allegations, which had been made previously. Fairfax claims the @washingtonpost found "red flags" in the woman's story. But the paper pushed back on that claim on February 4. “The Post did not find ‘significant red flags and inconsistencies within the allegations,’ as the Fairfax statement incorrectly said,” the Washington Post said in a story published Monday, disputing the lieutenant governor's statement. Fairfax says the encounter was consensual. The woman (unnamed by the Washington Post) says it was a sexual assault. Folks hate it when I remind them that our most progressive president was #LBJ, because someone told them it was #FDR. And yes, he gave us Vietnam. But he was the most Socialist president in US history. But not surprising the #GOP is stanning for you. You can claim Greenwald's support, @TulsiGabbard--he does hang out on @FoxNews--but the the Intercept has your number. As do those of us who are actually left. 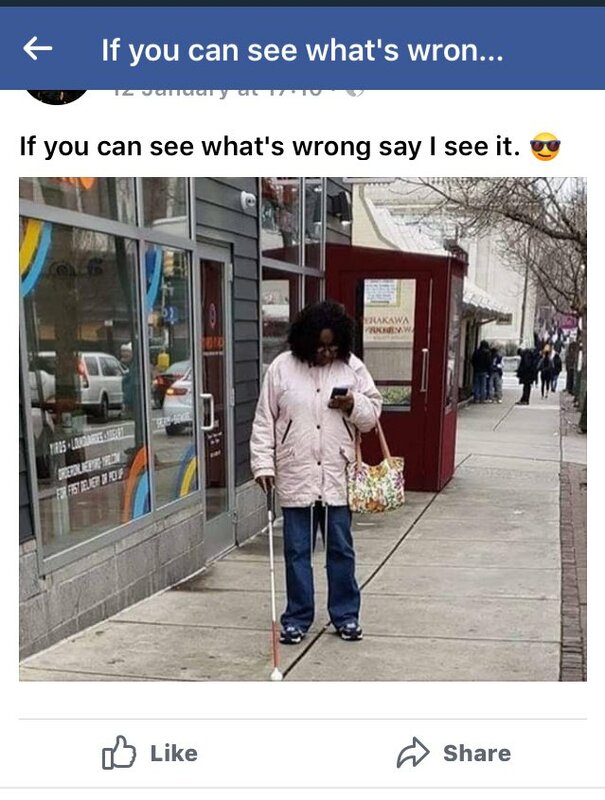 This image of a visually impaired woman using her phone has hundreds of comments mocking her. 1. Not all blind people are totally blind. 2. Remember Siri & Alexa? YOUR PHONE CAN TALK TO YOU. If you are a visually impaired person who has received abuse for using your phone in public please share this tweet so people can understand the scale of this issue. Blind people can use phones using the same technology that makes Siri work. It’s not difficult to understand! If you want to learn how visually impaired people can use a phone check out this blog post which explains it. Make it your fact of the week that you share with people so I don’t have to experience abuse for sending a text when I’m holding my white cane. Okay, so... I'm going to make myself a drink and then we're doing this. Deep dive into Trump's campaign rally speech from Pennsylvania on March 10th. All my babies already know the drill. For the newer followers - what I do is not fact checking, it's interpretation. Context and content analysis. Political and psychological insights.